AND THE WINNER IS: GINI!! I’LL GET YOUR SIGNED COPY TO YOU ASAP! J.D. Frost is a familiar name to anyone whose read this blog for awhile. He’s done a few guest posts here, and he’s a regular commenter. I had the privilege of meeting him, and his wife Donna and step-granddaughter Lizzie, when they came to our France retreat this year! When I heard that his latest mystery novel had just been released, I jumped at the chance to offer him a guest post. In celebration of the launch of his second novel, I’m offering one copy of his new book to a lucky reader. Scroll down for more info. And in the meantime, please enjoy J.D.’s article on marketing his novels. In August, 2014, Ardent Writer Press published my first novel, Dollface. 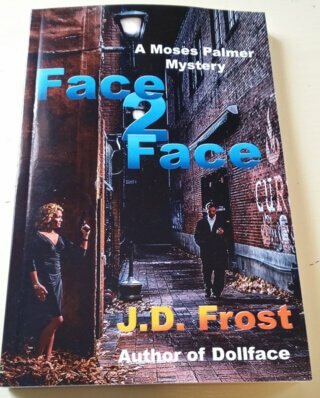 In October, 2015, the same company picked up Face2Face, the second book of the Moses Palmer trilogy. At some point the muse in your ear will give way to a negative, nagging marketing gnat, constantly in your ear, capable of annoying you for days and quieted only by elbow grease. I’ll share with you some of the work I did, what I learned my first time around, and my plans for this second at bat. My first success began with an effort to obtain a review. Many newspapers, the Atlanta Constitution, the Birmingham Post Herald and a host of others no longer do reviews. My book is set in Chattanooga. I read the Chattanooga Times Free Press and found a wonderful lady, Susan Pierce, writing often in the Life section. She is a Jill of all writing that sometimes includes artistic events. She had occasionally reviewed a book, even some self-published works. I emailed her using the same pitch I used with agents, asking if she would read the book. She agreed. I autographed a paper copy and mailed it to her. Two weeks of silence followed. With nothing to lose, I emailed her again. She told me she loved the book. A 3/4 page review, including a picture of me and my dog appeared in the Sunday edition. I was very lucky. I haven’t seen another book with such a complimentary introduction. Get a review in a local publication if you can! 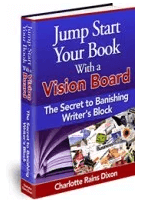 One television station, WDEF, called my publisher after seeing the paper and at 5:30 a.m. I was interviewed on the local morning show of Channel 12. I emailed Mike Miller, who hosts Round About Chattanooga on WUTC, the public radio station. I cited my newspaper and TV appearance. He insisted, rightfully so, on reading the book. I sent an autographed copy and he then agreed to an 8 minute interview on his program. Your paper may no longer review. Try to get something in a local publication and use that as a publicity springboard! I am back in touch with Ms. Pierce about my second book. Book signings can be so disappointing. I did three: at the Hamilton Place Mall Barnes Noble, at McKay Used Books in Chattanooga and McKay in Nashville. You scoff at the “used book” monicker. The store was incredibly busy―on a football Saturday no less―and McKay’s staff was wonderful to me. They placed me between the door and the book stacks, square in the path every customer walked. My wife helped me with a wonderful display that we used at all my signings. We ordered a 30×48 inch banner we mounted to the front of the table. We stuck an 18×24 poster of the cover on foam core board and placed it on an easel by the table. On the foam core, the “frame” of the poster, we printed “Set in Chattanooga.” We put two small posters on the table along with twenty books. I tried to make eye contact and speak to every person. If you use a plain table and you SIT, don’t expect much. I had bookmarks printed. To everyone, especially those who showed no interest, I offered a free bookmark. Use Bitly or some similar service to obtain a short link to your book like this one: http://amzn.to/XVKhpp or this one, http://amzn.to/1GnmdjX. Print those on your bookmarks. I didn’t sell a ton of books. At my worst event, I sold three and at my best, 19. But I announced those book signings in every media, publication, blog, etc. I could. Any event gives you a platform for publicity! My friend Michael Gillibeau, author of A Study in Detail, invited me to a fun event, Noir at the Bar. It is similar in some ways to a poetry slam. You’ll find announcements of similar events across the country. We gave a free beer for every book sold. I hope to stage such an event in Chattanooga. 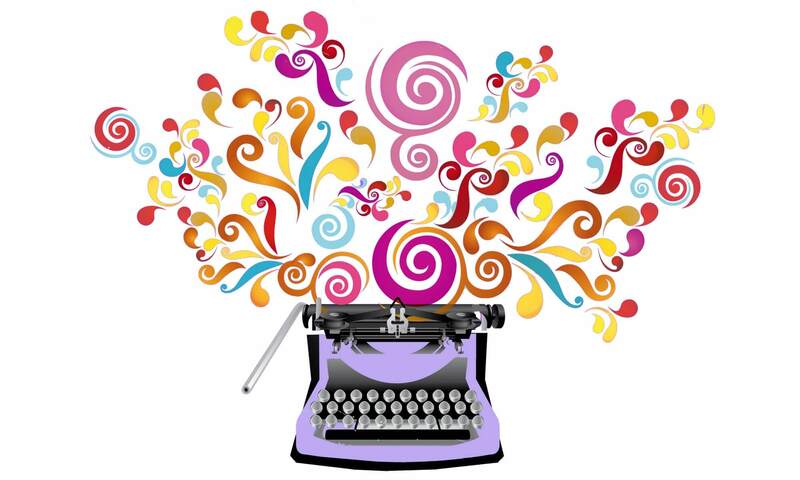 We will use actors to perform scenes from our writing―you need more than one author. Mike used the event to raise money for a library. He obtained a lot of great publicity like this. No surprise there is a dog in my book, since dogs appear in mysteries as often as elves in Christmas parades. I hope to raise money for a shelter. In another fund raiser, I plan to donate a dollar to the animal shelter for every copy I sell, Kindle, Nook, or paper on a particular day. If I gain the support of the animal shelter, I think I can convince the WDEF TV and some other outlets to make some announcements for us. The five Petsmart stores in the area support the animal center. If the shelter buys in, I will ask the stores to allow me to put up a poster, announcing that donation for copies bought on a particular day or two-day period. Those are my strategies. You may notice that I have ignored the oil tanker floating in the middle of the wading pool―social media. I classify the things I discussed above as “local strategies.” To get really big results, to get a lot of sales, you need a much broader reach. My abilities in that arena are so limited. Like anyone, I can dabble but with my first book I didn’t have a lot of success. I may seek the help of a consultant. My thanks to Charlotte for inviting me. She did a wonderful job with content editing on Face2Face. You’ll find my first book, Dollface, here and the second leg of the trilogy, the book Charlotte helped me with, is here. (Editor’s note: he didn’t need much help.) Do yourself a favor and read Emma Jean’s Bad Behavior. It is here. (Editor’s note: thank you!!!!) Mike Gillibeau’s book is here. I hope some of this helps. I don’t mind sharing because we writers are not competitors but brothers and sisters. And now, the details of the giveaway. All you have to do is leave a comment. Tell us what book you most recently read and something you liked about it. That’s it! I’ll draw a winner on November 17 (that’s two whole weeks away–tell your friends, you do not want to miss this book) and post the name here. Thanks for inviting me, Charlotte. You did a great job with the post. Marketing is such a painful subject. I hope we can get some exchange here in the comments. Thanks, Charlotte. You did a great job with the post. Marketing is such an uncertain business. I hope we get some exchange here in the comments. 2. Make sure the comments are working. You may have noticed the all new, redesigned blog. As happens with these things, we’ve had a few issues. So I’m just checking! I recently read, Being Dead by Jim Crace. Aside from the wonderful description of how bodies decay (I just love that stuff), the structure of the story is intriguing – one line of the story is told chronologically, while simultaneously, another line told backwards, then it all comes together at the end. Thanks J.D. — excellent guest post! Love the oil tanker in the swimming pool. The book I’m reading at the moment is Elena Ferrante’s The Story of the Lost Child, fourth in her Neapolitan tetralogy. I’ll probably go back and reread the first three after I finish — that’s how addicted I am! Debbie, I’ll take a look at “Lost Child.” Well, maybe I’ll look at the first one. Sounds interesting. Thanks J.D. for personalizing the marketing process and thanks Charlotte for providing the literary forum to learn more about you and J.D. A book most recently read? The Narrow Road to the Deep North by Richard Flanagan. Captivating story about Australian POW’s tasked with building the Burma Railroad. Thank you for commenting, Chris. The Narrow Road to the Deep North–that’s an interesting title. There are so many good works out there. Charlotte does provide a great site for us to share, to learn from her and from each other. Thanks again. Thanks for posting, D! Yes, I’m sending out rocks you can throw through your TV. And they are free! The shipping is a little testy. I’ve been traveling so got behind on my blog reading — great post from JD, making it all real. I always thought finding a publisher was the challenge but it is increasingly clear to me that it is only the start. I just finished (on an airplane) “The Other Woman’s House” by Sophie Hannah. Yet another crime book that tries to mess with your mind by offering alternative views of reality. I wasn’t wild about it but enjoyed it enough that I will probably read others she has written previously. Hello, Jenni. Thanks for the kind words. So nice to see you again on Wordstrumpet.